Welcome Traveler! The Pharaoh invites you to play cards with a twist! 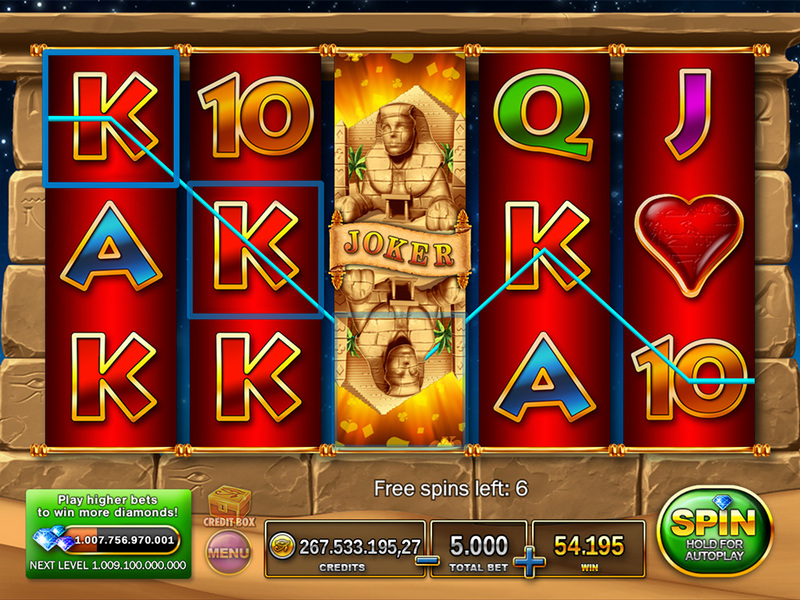 You’re sure to be dealt a winning hand! 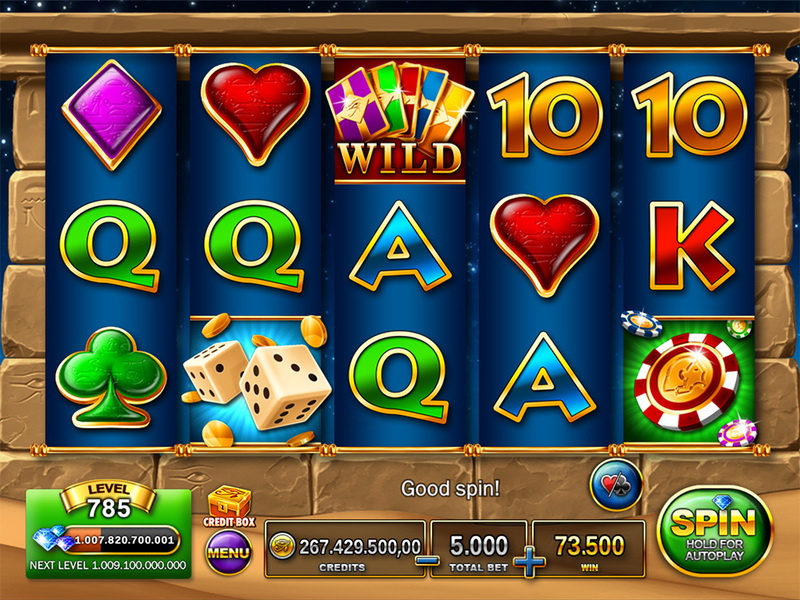 Enjoy the exciting dice game bonus and collect Free Spins for a high rolling experience. 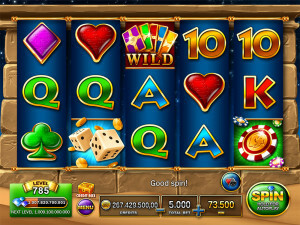 Play on a total of 25 win lines! 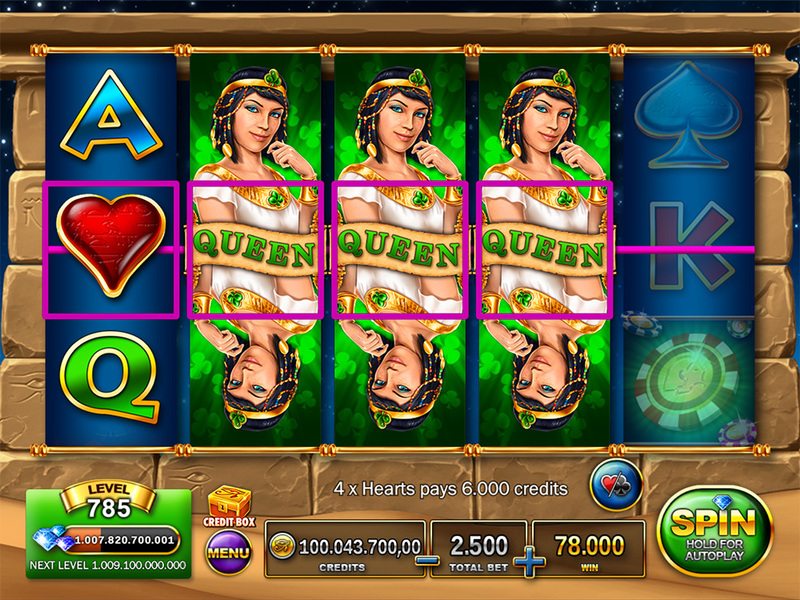 3 ‘Dice’ symbols trigger the Egyptian Fortunes bonus. 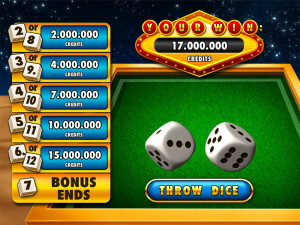 Rolling anything but 7 will add to our wins, while getting 7 will end the bonus! 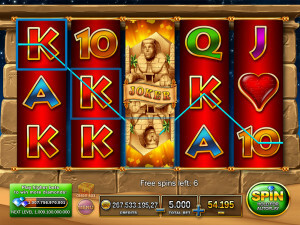 3 ‘Chips’ symbols trigger 10 free spins!